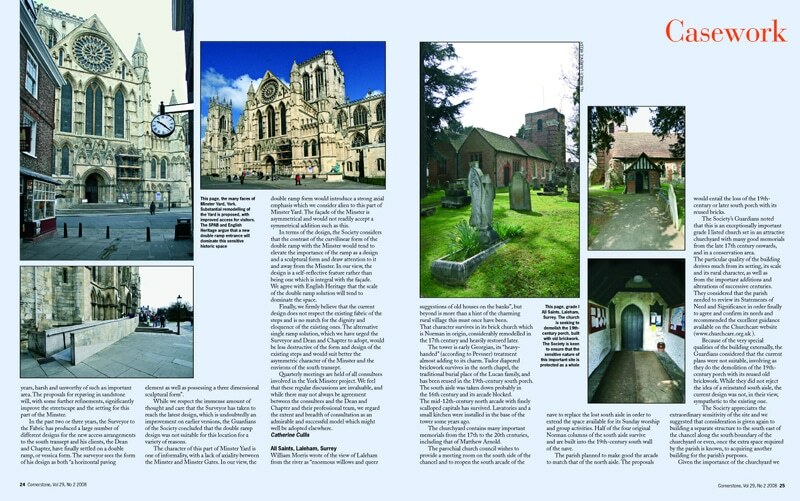 The Society’s official publication is a 72-86 page full colour quarterly magazine. It is sent to 7,800-8,200 members, at least 60% of whom live in old or historic houses. The readership includes architects, surveyors, town planners, local authority conservation officers, engineers, builders, craftsmen, interior designers and homeowners. 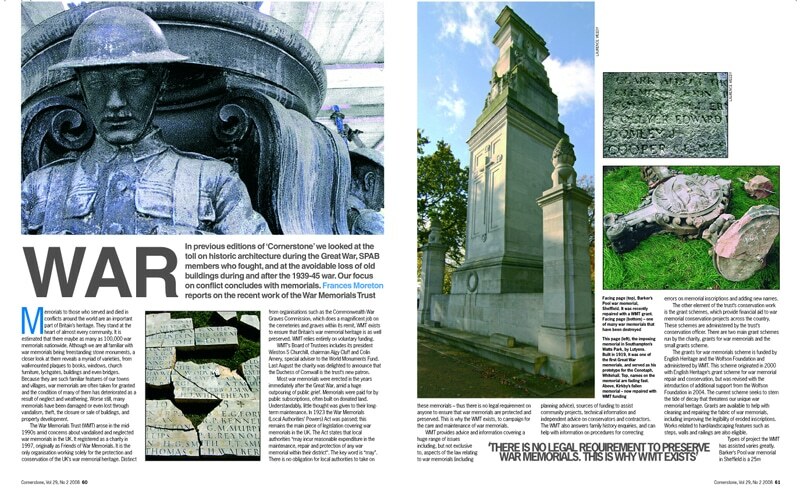 The magazine offers heritage news, casework, technical advice, special features, a comprehensive book review section and has 80-90 regular advertisers. 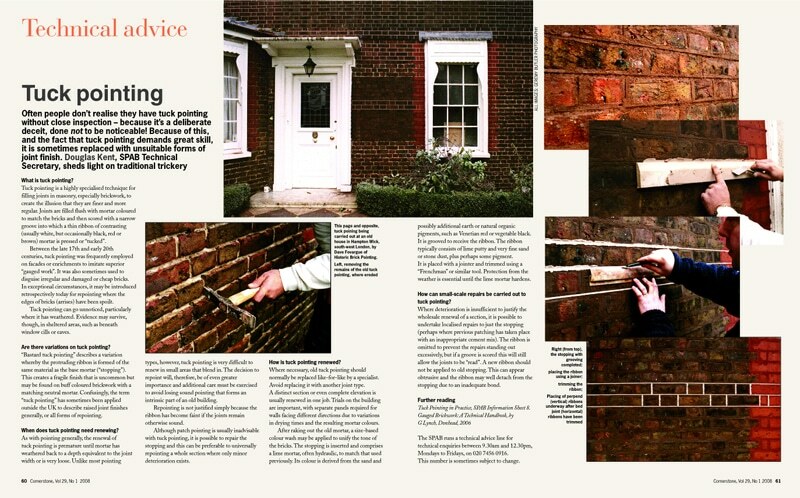 In addition to regular main features on traditional materials and repair techniques, SPAB campaigns on a wide range of conservation issues. Extensive coverage of controversial topics like architectural theft and airport expansion has attracted nationwide publicity. Founded by William Morris in 1877, SPAB is the largest, oldest and most technically expert conservation body campaigning to preserve old buildings. SPAB is a charity (no. 231307) funded mainly by subscriptions, donations and legacies. It plays a formal part in the planning system and under the Town and Country Planning Act must be notified of all applications to demolish or partly demolish listed buildings in England and Wales. SPAB is asked to comment each year on hundreds of cases of every conceivable type of structure from farmhouses to mansions or from little churches to cathedrals. SPAB still works to the principles in William Morris’s 1877 Manifesto, based on conservative repair, respect for the past and regular maintenance. There is free telephone technical advice to members. Membership offers access to programmes of lectures and visits. People who have trained through the Society’s Scholarships and William Morris Craft Fellowship Programmes care for many important buildings in the UK. SPAB lobbies the government on issues affecting old buildings and publishes low cost technical leaflets. SPAB provides access to a well defined and high quality audience that includes professionals who will specify or recommend, plus historic homeowners and property developers. The SPAB’s status as a leading authority on conservation, and as a useful reference source, prolongs the life of advertisements. Although the SPAB will not endorse products and services, readers are aware that advertisers are vetted for relevance and understanding of SPAB principles. 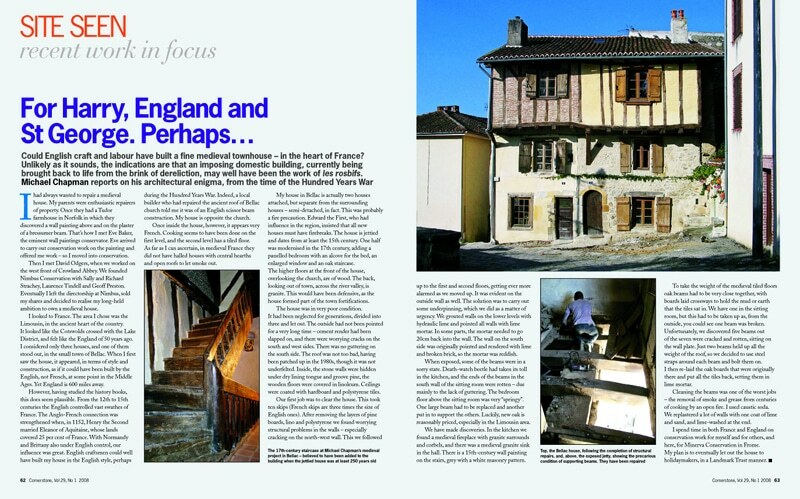 SPAB focuses on all periods of the UK’s architectural history. Members include the majority of the UK’s leading conservation specialists. Their education may have commenced on one of the SPAB’s training schemes such as the annual scholarship training programme for young architects, building surveyors and structural engineers.